Narrated Ibn Abbas: The Prophet ‎وَسُلَمَ ‎عًليهِ‎ ‎اللَّه‎ صْلى said, "No good deeds done on other days are superior to those done on these (first ten days of Dhul hijja)." 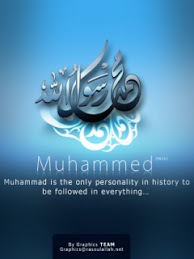 Then some companions of the Prophet ‎وَسُلَمَ ‎عًليهِ‎ ‎اللَّه‎ صْلى said, "Not even Jihad?" He replied, "Not even Jihad, except that of a man who does it by putting himself and his property in danger (for Allah's sake) and does not return with any of those things." "And (by) the dawn and (by) the ten nights"
Al-Awza'i said, "I have been told that the reward of good deeds on any of the first ten days of Dhul-Hijjah is equal to that of a battle in Allah's sake during which the person fasts the day and guards during night, unless the person meets martyrdom." (Related by al-Bayhaqi in Shu'ab al-Iman and its sanad 'chain of narrators' to al-Awza'i is valid). Merits of first ten days of Dhu al-hijja are so clear from Pearl of the Day..
Let's get to know what Best Hasanaat we can have done in these days.. These ten days are golden days for Hasanaat. Get up and make your best!